8,500 witnessed an epic All-Ireland SHC semi-final at O’Moore Park, Portlaoise when a hungry Ballyhale Shamrocks outfit prevailed by three points against Toomevara on a scoreline of 2-20 to 3-14. The Kilkenny and Leinster champions may have faced a 12 point deficit, four minutes before the interval but they came back strongly when an Eoin Reid goal before half -time to cut the gap to eight points. Toomevara certainly lived up to their ‘greyhound’ tag and came out of the blocks strongly in the opening quarter with midfielder Francis Devaney, scoring the first of two opening points after just 16 seconds. Ballyhale matched their Tipperary counterparts well in the opening four minutes but suddenly Toomevara had no problems in finding the back of the net from all angles. Half-forward Eoin Brislane was the first to blast the ball past James Connolly in the fifth minute with a bullet of a shot to the right corner of the net. This was followed up 50 seconds later with a Paddy O’Brien goal from 21 metres out. 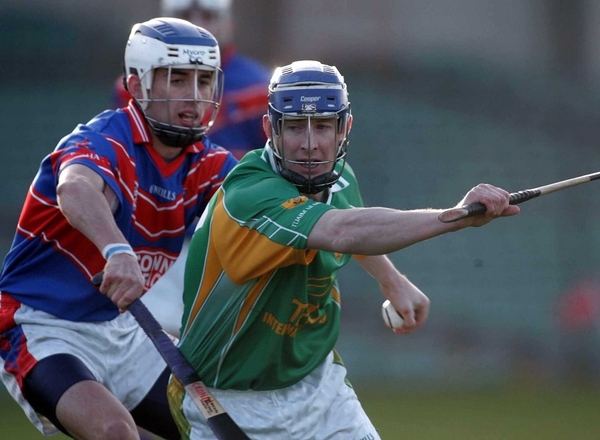 Toomevara were firmly in the driving seat at this stage and added points from Francis Devaney and Ken Dunne before John Delaney found the net for Toomevara as the Tipperary side held a 3-4 to 0-4 advantage midway through the half. Ballyhale continued to pick off points from Henry Shefflin and Eoin Reid but Toomevara quickly built up a 12 point cushion thanks to good work from Ken Dunne and Willie Ryan. However an Eoin Reid goal executed a comeback from Ballyhale Shamrocks before the interval. 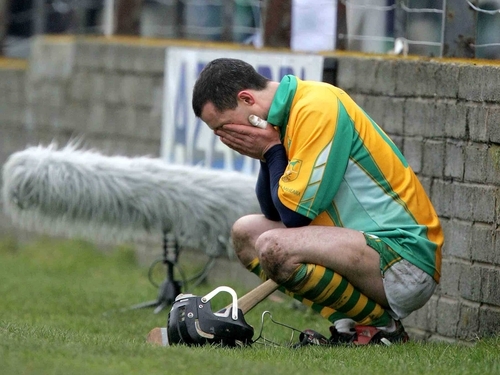 he Leinster champions certainly came out stronger in the second half and although Toomevara had good chances for scores, they were unable to find the target; with seven wides in an 11 minute spell after the restart. Ballyhale took their scores well from Henry Shefflin, man of the match James ‘Cha’ Fitzpatrick and Eoin Reid to cut the gap to four points. The Kilkenny side continued to pile on the pressure and when midfielder Fitzpatrick found the net, many in the 8,500 crowd sprung to their feet. Toomevara had been reduced to 14 men at this point with a straight red card for Tommy Dunne and this saw Ballyhale continue to pick up their form, securing the lead for the first time in the game on the hour mark before points from James Fitzpatrick and Henry Shefflin sealed a hard fought win.